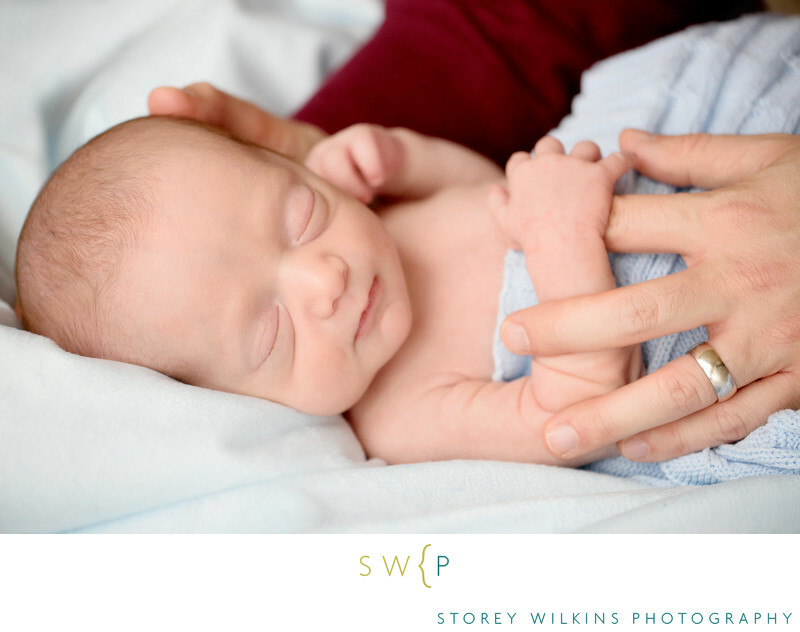 Newborn Baby Portraits by Storey Wilkins Photography. Close, intimate, natural. Showing a newborn close up, with Dad's hands, helps to show the connection between parent and baby and also helps to show how small the newborn is.